So, at last, you’ve written your book! It’s taken you ages and you’re justly proud of it. You likely understand the power of a professionally designed front cover to complement your carefully crafted prose. 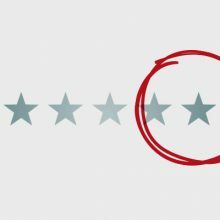 This will help you to capture those first sales, but what about getting those 5-star reviews? This is where SpiffingCovers’ professional proofreading and copy-editing services come in. Experienced authors will already understand the need for a thorough edit before going to print, or e-publication, but first-time authors often overlook this important step, even though it’s an incredibly important part of the self-publishing process. This service checks for errors of spelling, punctuation and grammar. It also highlights any typographical errors, omissions or repetitions in your writing and points out any obvious breaks in the continuity of the piece. Basically, it finds any mistakes before your book goes to print. This service covers all of the above and more. It’s a sensitive service, designed to retain and be true to the author’s ‘voice’. As well as the aforementioned proofreading checks, copy-editing addresses the flow and style of your writing. Is your writing clear, concise and unambiguous? Does it always make sense? Is the text organised in the most logical manner? Are there any inconsistencies in your use of plot, characterisation or dialogue, for example? Copy-editing moulds your writing to make it the best it can be; it makes your book come alive. Editing takes time as we scrutinise each word – in fact, each letter and punctuation mark – intently. But we believe you’ll be delighted with the finished product. Your hard work will be rewarded with a book that’s finely crafted and professionally presented; it will be the book it deserves to be.